As a commercial driver, you could face fines, suspension or even revocation of your license. CSA is fully active: defend your livelihood today with our CDL Defender™ legal insurance. We pay your attorneys fees. Be prepared to meet your legal needs with our CDL Defender legal insurance plan. We’ll be there to keep points off your driving record, reduce fines, keep CDLs from being suspended or revoked — we’ll keep you on the road, earning money for you and your family. Through our years of experience, 92 percent of drivers represented in court by U.S. Legal Services are satisfied with the results. Unlike other legal insurance plans, U.S. Legal Services pays 100 percent of all your attorney fees for representation for covered issues. With new FMCSA rules in effect on August 23, 2014, positive courtroom dispositions such as dismissals and not-guilty verdicts on roadside inspection citations will now be reflected on a driver’s or carrier’s record. Having the CDL Defender(™) on your side can help you take full advantage of this rule, helping you attain a favorable outcome that is accurately reflected on your good driving record. Our network attorneys and CDL customer service team understand FMCSA regulations and how they can affect your livelihood, and are ready to guide you through the process. Our low-cost legal insurance plan provides coverage while you’re on the job or in your personal vehicle, and covers your spouse, too. It also provides coverage for pre-existing matters, many personal legal issues, financial coaching and identity theft. With U.S. Legal Services, we defend you and your family with lawyers who know the rules of the road. We can even assist with CSA DataQs Challenges. All moving and non-moving for both carriers and drivers covered at 100% which means U.S. Legal pays the attorneys’ hourly rate! What is a legal insurance plan? A legal insurance plan is a voluntary benefit that employers offer employees to help provide affordable access to legal help and representation. From an employer's point of view, legal insurance plans - also referred to as legal benefits or prepaid legal plans - may be thought of as "managed legal care," much like many health care plans. For employees, voluntary legal benefits provide access to a spectrum of legal services in exchange for reasonable monthly payments. This type of plan protects people when they need to address legal issues and typically offers members the ability to consult with attorneys on covered issues; have legal documents prepared; and to receive legal representation. The goal of legal insurance plans is to provide members with peace of mind, knowing that, if a legal issue arises, they can access the advice and representation they need without paying the standard attorney fees. Here is information about our legal benefits plans, including CDL Defender for commercial truck drivers. 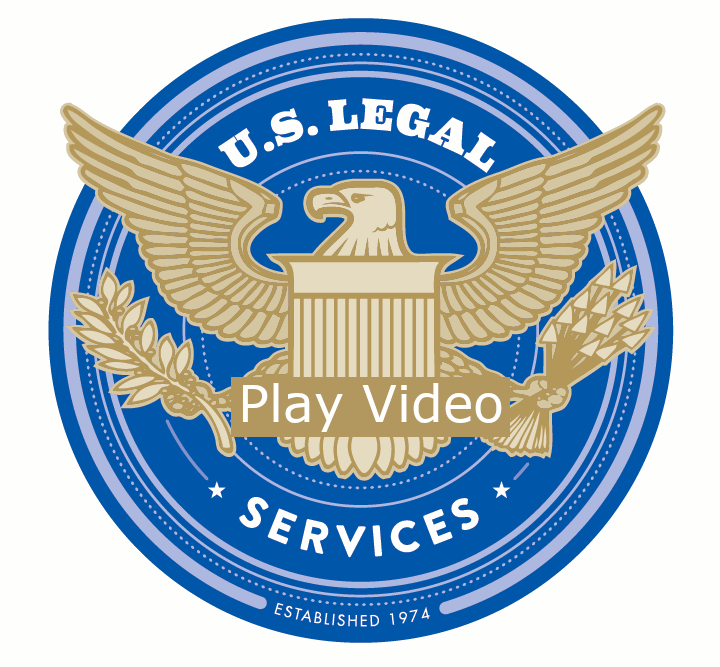 Why should we choose U.S. Legal Services for our drivers’ legal benefits plan? We make legal representation for drivers and motor carrier companies affordable and accessible to all, offering the most comprehensive legal insurance plans in the industry. Drivers appreciate the ability to simply and effectively manage legal matters, using experienced local attorneys. Our company has more than 40 years of experience providing superior service to CDL professionals. Find out more information about U.S. Legal Services or contact us online or call 1.800.356.LAWS if you have questions about the advantages of our plans for both drivers and carriers. What are the advantages of the CDL Defender™ for commercial truck drivers? Unlike other legal insurance plans, CDL Defender pays 100 percent of all attorneys' fees on covered issues, including moving and non-moving violations, for drivers and carriers. We're here to help drivers reduce fines, keep points off driving records and keep them on the road. Network attorneys and our CDL customer service team understand how FMCSA regulations affect livelihoods and we'll protect you, keeping you from being suspended or revoked. We'll also help obtain favorable outcomes when positive courtroom dispositions occur on roadside inspections, using only local attorneys to help ensure they're accurately reflected on driver/carrier records. Contact us online for more information or call 1.800.356.LAWS. What does this legal benefits plan cover? We'll help keep points off driving records, keep CDLs from being suspended or revoked, reduce fines and handle legal issues to keep you on the road, earning money. Ninety-two percent of drivers on this legal benefits plan are satisfied with results. Contact us online or call 1.800.356.LAWS. Why is it important for motor carriers to offer drivers this legal insurance plan? To get started, contact us online or call 1.800.356.LAWS. How can this legal insurance plan help with DataQs challenges? Whether you're a driver or a motor carrier, few things are as frustrating as being unfairly cited. To some degree, that's always a possibility, so the real question is how you can increase the chances that your DataQs challenges are successful - and that's where a legal benefits plan can really help. DataQs challenges can be filed online, which makes the challenge process more convenient. But for your challenge to be successful, you'll need to clearly understand the regulations, and then specifically articulate why the citation you received was not appropriate under current regulations. Supporting documentation is crucial and the process of challenging citations can be tricky. Drivers who are covered by the CDL Defender from U.S. Legal Services receive assistance from specialists who are DataQs appeal experts. Plan benefits include the proper submission of the certified documentation that's required for DataQs. Contact us online or call 1.800.356.LAWS for more information. What attorneys can I use if I'm covered by CDL Defender™? When you are a member of this voluntary legal benefits plan, you have access to a wide network of experienced attorneys who clearly understand FMCSA regulations. And, because laws can differ by state, we provide you with well-vetted attorneys who practice right where citations take place. Commercial truck drivers represented in court by attorneys within our network overwhelmingly express satisfaction with results (92 percent of drivers covered by CDL Defender). This plan pays for 100 percent of all attorneys' fees for moving and non-moving violation alike, as well as DOT violations. To find out more information about the legal insurance plan or to get started, contact us online or call 1.800.356.LAWS. How much of the attorneys' fees are paid under the CDL Defender™ plan? For more info, contact us online or call 1.800.356.LAWS. How do I enroll in the CDL Defender™? It's fast and simple! Enroll in the CDL Defender legal benefits plan today. If you have questions about the plan, contact us online or call 1.800.356.LAWS. Welcome!